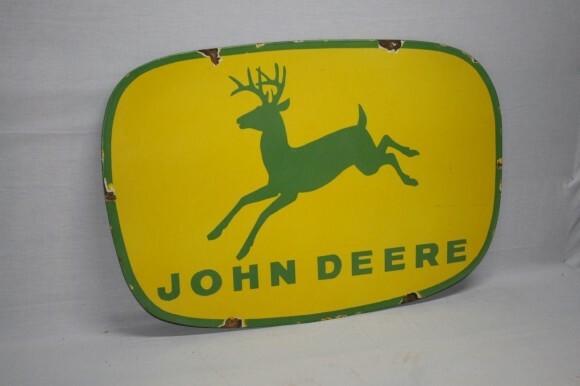 At only 24″ by 36″ this John Deere sign is smaller than some of theirs. This sign is highlighter yellow and green. The logo deer is jumping in the center with the brand name text below.